Join us at Our 1God7Laws Facebook Group for live broadcasts and more! We often make things too complicated. "No sophistication is needed in serving G-d - only simplicity, sincerity and faith. The original and ongoing divine covenant between humanity and the Holy One includes all of humanity. Whoever you are YOU already have a Covenant with G-d. There is no need to seek another! The only real question is whether you will accept it. That is up to you. The Holy One grants us all freedom, not slavery. Derech Noahide, the Noahide Way, is an easy life path with glorious blessings for all who choose to walk it. The heart of this universal covenant consists of Seven Laws. Our sages teach that following "the letter of the law" is not as effective as observing it with joy and gladness of heart. This is true for the Jew and Gentile alike. HaShem is not a slave master, G-d forbid, He is our most trusted Friend and Guide. What does HaShem (God) require of Noahides? With what shall I come before the Lord, bow before the Most High God? Shall I come before Him with burnt offerings, with yearling calves? Will the Lord be pleased with thousands of rams, with myriad streams of oil? Shall I give my firstborn for my transgression, the fruit of my body for the sin of my soul? He has told you, O man, what is good, and what the Lord demands of you; but to do justice, to love loving-kindness, and to walk discreetly with your God. This is what HaShem wants of Noahides: teshuvah (repentance), and humility. HaShem wants to forgive us all and to dwell in communion with us. Come before the Eternal One not with burnt offerings and extremism, but with justice, loving kindness, and humility. Come before Him with mercy for others that you might merit His Mercy. "This day, I call upon the heaven and the earth as witnesses [that I have warned] you: I have set before you life and death, the blessing and the curse. You shall choose life, so that you and your offspring will live" -- Deuteronomy 30:19. "To love the Lord your God, to listen to His voice, and to cleave to Him. For that is your life and the length of your days, to dwell on the land which the Lord swore to your forefathers to Abraham, to Isaac, and to Jacob to give to them -- ibid 30:20. This includes all forms of idolatry including placing anything before ones service and devotion to HaShem. Inherent in this is the prohibition against blasphemy, cursing and dishonoring the Name of God in any way. For this reason we typically say/write HaShem ("The Name") rather than utter or write the Holy Name. The Sacred Name is most sacred. All the more so when we grasp that the Oneness of HaShem is all encompassing. He and His Name is One. "Murder" refers to the unjustified taking of a human life (killing animals is not murder biblically speaking, nor the taking of human life in a just war or under a duly constituted judicial ruling). There is a righteous taking of life and an unrighteous taking of life. This is broadly interpreted and has its origins in practices long since abandoned (with extremely rare exceptions), but essentially it forbids all cruelties and perversions done to animals. Noahides must treat all life with respect. Today this is fulfilled by obeying the authorities that rule over us and by making personal judgements in a honest and informed way. This is the Path of the Righteous Gentile. Its not complicated, but it takes a lifetime to perfect. As one walks this life path one discovers that the Seven Laws encapsulate an ever growing number of principles that sincere Noahides inwardly feel drawn to embrace and perform. For instance, with Birchat HaShem, the commandment to bless (and not dishonor) the Name of HaShem: A Noahide who lives in a less than godly manner -- for example, if he or she is rude or dismissive to a waitress, a neighbor, etc. -- will realize that such actions do not bring 'blessings to HaShem' nor to the other party. God forbid that others witnessing our unbecoming behavior should say, "This Noahide claims to know G-d but just look how she/he acts!" Noahides need to be aware that their actions can bring praise or dishonor to HaShem. Because HaShem is completely echad or Singular, the Sacred Name encompasses everything about Him including His reputation. Safeguarding His reputation through our actions as his servants is therefore included under Birchat HaShem. Derech Noahide is therefore all encompassing, as is the life of the observant Jew. Understand that the Spiritual Path is not something one does; it is who one is. Self transformation in any area takes time. 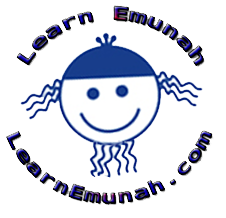 As you grow in your practice of Derech HaShem don't be an extremist about it! There are those who, through their zeal, turn this Path of true freedom into one of slavery. Slavery is not the Way of G-d. Such people seek to place every minutia of possible restriction on themselves. They seek out every obscure Rabbinic counsel and ruling from the Middle ages and demand perfection of themselves. In time such people only succeed in burning themselves out and returning to their former ways discontented. Then they inevitably proclaim: "I tried this Seven Law Path, it is slavery!" Worse, they proclaim, "Derech Noahide is a trick of the Jews to enslave us!" I've heard this from many people, just ask Rabbi Google! In truth, such people give themselves over to an ego based counterfeit. They focus on their glory rather than HaShem's. Truth be known, through seeking their own glory they are violating the first law of Noahide spirituality, Avodah Zarah. Self righteousness and show bottle spirituality is not Derech HaShem. Purify your consciousness by clinging to what is good and avoiding what is not. "Even after all the wisdom and sophistication - even if you possess true wisdom - you must cast aside all wisdom and sophistication and serve God with complete innocence and simplicity, with no sophistication whatever. Remember that extremism is detrimental to spiritual advancement and to our goal of devekut, attachment to the Holy One. Be easy on yourself. Walk this path with joy and peace. Be yourself, only better, enthused by the Blessed One. As you continue along the path you will find that with a little effort you are becoming a more spiritual, happier and fulfilled individual. The more one seeks to live as an observant Noahide (or Jew) the more opportunities will naturally come for greater levels observance and subsequently more blessings.